Commercial drivers who are looking to get a DOT medical certification can receive a physical exam from FastMed Urgent Care. Our medical professionals are licensed to perform the official examinations needed to determine your driving eligibility. But before you make an appointment, learn about what types of physical tests you can expect to take. If you aspire to become a commercial motor vehicle (CMV) driver, you are required to take an examination with a licensed medical professional to determine your physical and mental eligibility. This certification must be taken every 24 months to ensure CMV drivers are in good health to perform their job. Upon examination, your medical professional will test your overall wellness to ensure you are physically and mentally fit to be a CMV driver. A medical professional may utilize a DOT medical form to check your eligibility for certification. This professional must be certified to conduct these examinations. 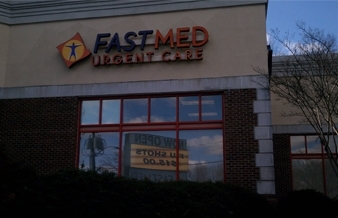 You can find a certified professional here, or visit your nearest FastMed location for quick and convenient service. When you’re ready for your DOT medical certificate examinations, the medical professionals at FastMed are available to help. FastMed understands that commercial drivers are on the move and value convenience, that’s why many of our locations are located off major highways and accept walk-ins. Our physicians are trained and certified in the Federal Motor Carrier Safety Administration (FMCSA) standards. We know how important it is for drivers to maintain good health to complete the medical certificate form and perform their job well. With examinations costing as low at $85, we can make sure you are eligible to work and back on the road quickly. Stop by or schedule a ZipPass Check-In today!